Why spend two different appointments at a dental office for your treatment when you can have it all completed in one visit at DeLand Smiles? We offer technologically advanced treatments that aren’t available at most other DeLand area dental offices. 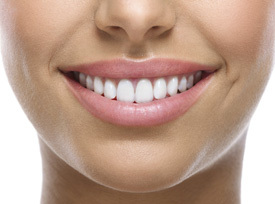 Your dental crown and veneers will look, feel, and function just like a regular tooth. If your tooth has been badly damaged or treated with a root canal, then a full coverage crown is an excellent way to restore function and appearance to your smile. Our same day crowns require only one visit instead of two appointments spread out over two weeks. You’ll get better, faster results than any other type of crown treatment available. Being able to have my teeth repaired & two crowns made in one visit is fabulous! My bite hasn’t felt this good in years! If you are looking to change the appearance of your teeth, dental veneers are an excellent option. Veneers can correct the appearance of irregularities that affect the color and position of your teeth, giving you a lovely new smile. Each veneer is custom made to fit over the front of the concerned tooth, giving it a perfectly new appearance. Who is a Candidate for Same Day Dentistry? Everyone! We recommend same day crowns and veneers to any patient that is in need of this type of restorative or cosmetic dentistry service. The materials that are used are extremely durable, strengthening your teeth and your smile. Your entire visit takes approximately an hour and a half, which saves you almost two weeks or more compared to conventional treatments. At your same day crown or veneer appointment, we will implement the use of CEREC 3D scanning and milling technology. What this means is your tooth has a virtual impression (scan) captured without gooey impression materials. Your crown is designed using CAD/CAM technology and then milled on-site. Once completed, your permanent restoration will be bonded into place over your natural tooth. Unlike traditional crowns or veneers, CEREC treatments are more accurate and faster to complete. Your finished treatment will last several years! Why wait when you can have all of your dental care needs completed in one visit? Call today!